In this issue: Monster Hunters in the Big Easy, a war for the future of alternate-history Europe, atomic women, and steely mercenaries. All that plus the winner of this year’s Baen Fantasy Adventure Award! With New Orleans out of control, Chad Oliver Gardenier, one of Monster Hunter International’s premier hunters, has been dispatched from Seattle to reinforce the beleaguered members of MHI’s Hoodoo Squad in their fight against the darkness. New Orleans in the ’80s gives a whole new perspective to the term “Hell on Earth.” In fact, more monsters are popping up than crawfish at a fais do do! Chad may be able to collect enormous bounties for the monsters he kills. But there’s one catch: he has to stay alive to do it! 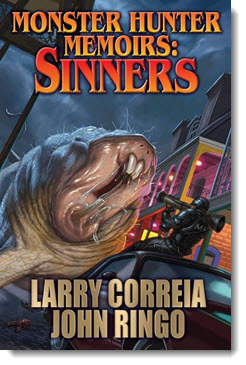 Get Monster Hunter Memoirs: Sinners eARC here. In the year 1635, the Rhineland is in turmoil. The impact of the Ring of Fire, the cosmic accident which transported the small modern West Virginia town of Grantville to Europe in the early seventeenth century, has only aggravated a situation that was already chaotic. The wars for the Rhine have erupted, and only the devil knows how they will end. 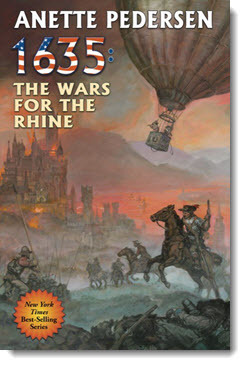 Get 1635: The Wars for the Rhine eARC here. Frank Dragic and his team of mercenaries are used to jobs where the payouts are big and it’s best not to ask too many questions. He’s just finished one such job on the Chinese/ Kazakhstani border. Then he gets a call from The Office. They’ve got a new assignment for him. They want him to find a man named Anders and bring him in, dead or alive. Dragic knows Anders. They have a history. And Dragic would like nothing more than to see Anders dead. That’s what worries him. Because in Dragic’s business, if it sounds too good to be true, it probably is—and lies can get you killed. A new two-part story set in the Dead Six military adventure series, by Peter Nealan and series co-creator Mike Kupari. Read “Rock, Meet Hard Place (Part 1)” by Peter Nealan here. Read “Rock, Meet Hard Place (Part 2)” by Mike Kupari here. Baen Books presents a new epic poem, serialized in ten parts. 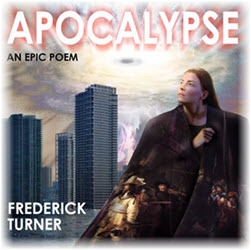 Written by celebrated poet Frederick Turner, Apocalypse examines the effects of catastrophic climate change—and the men and women who will do whatever it takes to save their world. Check out all the installments to-date here. With the ten-part serialization of Apocalypse drawing to a close, we’re proud to present this modern epic in eBook format. Available Sept. 22, from Baen Books. Marie Curie is probably the most famous woman to work in the field of nuclear science—unless of course you count Dr. Christmas Joes, the “Bond Girl” portrayed by Denise Richards in The World is Not Enough. But Curie and Jones are far from the only two women—fictional or otherwise—to work in the field of nuclear science. In this month’s nonfiction essay, nuclear engineer Jim Beall traces the history of women in the field of nuclear science, in the laboratory and in the pages of science fiction novels and stories. 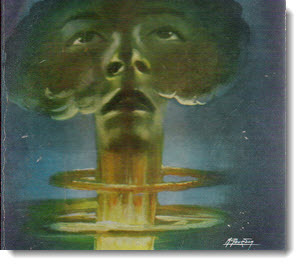 Read “Radium Girls of Science and Science Fiction” by Jim Beall here. The third annual Baen Fantasy Adventure Award, which honors the best original fantasy adventure short story, was awarded earlier this year at Gen Con. The contest was judged by the Baen editorial staff. Read “The Lavender Paladin” here. And find out more about the Baen Fantasy Adventure Awards, including this year’s runners-up and honorable mentions, here. 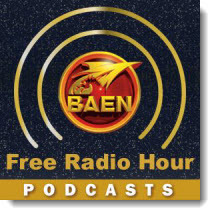 Coming soon to the Baen Free Radio Hour: Wen Spencer on her collection of great stories and novellas set in the Elfhome series, Project Elfhome. David Drake discusses a new edition of his novel Patriots, which Baen is issuing in a new young adult format. Eric Flint and David Carrico talk about The Span of Empire, book three in The Jao Empire series. Missed past episodes? No problem. We’ve got every episode archived for your listening pleasure. 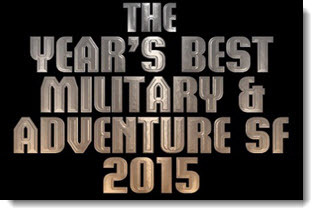 Congratulations to David Drake, this year’s winner of The Year’s Best Military and Adventure Readers’ Choice Award! Drake won for his story, “Save What You Can,” which is set in his genre-defining Hammer’s Slammers series, and originally appeared in Onward, Drake!, ed. by Mark L. Van Name. Though Drake was not on hand at DragonCon in person, he will receive an inscribed plaque and a $500 prize. Thanks to everyone who voted this year! And be sure to check out next year’s volume and vote for your favorite story of 2016! Baen Books is teaming with Pinbeam Books to offer fifteen ebooks and ebook story collections by Liaden Universe® creators Sharon Lee and Steve Miller on the Baen Ebooks web site. 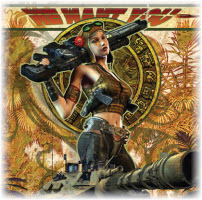 Pinbeam Books joins a lineup of top publishers with titles available at Baen Ebooks. More information can be found here. The first group of Pinbeam Books ebooks are at Baen Ebooks here. 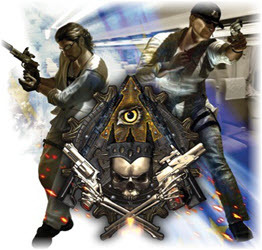 With New Orleans out of control, Chad Oliver Gardenier, one of Monster Hunter International’s premier hunters, has been dispatched from Seattle to reinforce the beleaguered members of MHI’s Hoodoo Squad in their fight against the darkness. 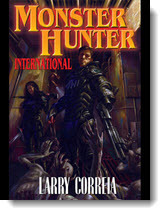 Five days after discovering his boss is a werewolf—and subsequently tossing him out of a fourteenth floor window—Owen Pitt gets a new job as a member of Monster Hunter International. Their business is killing monsters. And business is booming! In the year 1635, the Rhineland is in turmoil. The impact of the Ring of Fire has only aggravated a situation that was already chaotic. The wars for the Rhine have erupted, and only the devil knows how they will end. Alternate 1635: When King Charles demands Cromwell’s head, it falls to up-time sharpshooter Julie Sims to teach the Brits a lesson that has already been learned on the Continent: A safe distance isn’t what you think it is. When her brother is held for ransom, privateer Captain Catherine Blackwell knows she must do whatever it takes to ensure his safe return. But the job won’t be easy. To get her brother back she must face down danger at every turn—and uncover a mystery four million years in the making. The Kilrathi Empire has convinced the Confederation to stand down its military. That's when they launched a surprise offensive. Luckily for the human race, there are a few who don’t trust soft words from a Kilrathi mouth. Admiral Tolwyn and his veterans must fight a delaying action, buying time with their lives for humanity to make ready for the final battle. Terran forces are pushed to a last stand by the ever-encroaching Kilrathi hordes. The end seems very near. It is time for desperation measures. Once again, humanity’s last best hope is embodied in her flyers. Never before has so much been asked of so few—and now humanity’s existence itself is on the line! The first of two novels concerning reporter and accidental sleuth Jennifer Pierce. The action is based in Wimsy, Maine, an almost-real town. Though there is no magic present, the Wimsy mysteries are the grandparents of Sharon’s Carousel trilogy, published by Baen. 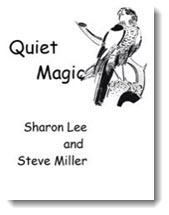 A collection of fantasy stories from best-selling team Sharon Lee & Steve Miller. From Steve Miller comes “And Hawks for Heralds,” original to this book. Sharon Lee contributes “Master of the Winds,” first published in Dragon Magazine. 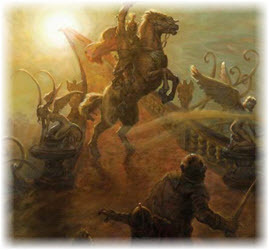 Contemporary fantasy “Candlelight,” is the entry from the Lee and Miller team; it was previously published in Pulphouse. Contains two stories: “Chimera,” which was first published on Baen.com; and “Friend of a Friend,” which is original to this collection. Both stories take place on Surebleak, Clan Korval's new planetary home. Three early stories from Sharon Lee. “Coffeecat” first appeared in Owlflight; “The AfterImage,” an inside look at the beauty pageants of the future, and “Passionato,” in which artists are valuable collectibles, are original to this collection. Princess Athaya of Caithe paid a steep price for her gift: the lives of family, friends, and lovers, excommunication from the Church and a death warrant in her kingdom. She barely escaped Caithe with her life, and yet she is already plotting her return. Charged with murder, heresy, and treason, Athaya spent months imprisoned at a remote cloister, her magic painfully sealed inside her mind. While she waited for rescue, her allies kept her mission alive—if only barely—risking their lives to recruit wizards and train them at their secret camp. Brandegarth, the Sage of Sare, is leading an army of skilled wizards against the king, Athaya, and anyone else who opposes him. If he succeeds in his rebellion, all the wealth and power of Caithe will belong to him, and non-magical citizens will be crushed under his reign. With her mission, her people, and her kingdom on the line, Athaya must confront her greatest adversary yet—and this time, her magic may not be enough to save her. The four books in the Changa’s Safari series from Milton J. Davis, available in a discount bundle! In the 15th century on the African continent, the young prince Changa Diop flees his homeland of Kongo, vowing to seek revenge for the death of his father and free his family and people from the foul sorcerer Usenge. He survives slavery and the fighting pits of Mogadishu, eventually becoming a merchant adventurer whose extraordinary skills and determination makes him a legend. Let the safari begin! On colony after colony, a strange epidemic is spreading. Dr. Shona Taylor is determined to find the cure before it’s too late. And she is not alone. By her side is a menagerie of very special assistants: An Abyssinian cat, a family of mine-canary mice, a pair of dwarf rabbits, an alien otter, and a Bernese Mountain dog named Saffie, whose genetically altered immune system can synthesize vaccines. They’re a doctor’s best friends, and they’re all aboard Taylor’s Ark. In search of his lost father, an apprentice swordsman rides the narrow trail to the City of the Sorcerers to see with his own eyes the Ward Walls that hold back the Realms of Chaos. Roger Zelazny meets Shakespeare with humor and mystery in this urban fantasy staring Miranda from The Tempest. In 1891, in the aftermath of the Wounded Knee massacre, awful nightmares and bizarre killing sprees shake the uneasy peace between the frontier town of White Pine and the Lakota on the nearby reservation. After the Sino-American Wars, 90% of the male population is sterile, and electricity does not function in five western states. It is the most dangerous place on Earth. Now, a young woman and her sisters must try to save their ranch by engaging in a risky post-apocalyptic cattle drive across a violent wasteland.